Have you ever wondered what lies at Hong Kong’s farthest reaches? We suggest a cool expedition to explore the edges and corners of the city’s boundaries. Hong Kong’s current boundary was demarcated when Hong Kong island and the part of Kowloon south of Boundary Street were ceded to Britain in 1841 and 1860 respectively followed by the leasing of the New Territories and outlying islands with the surrounding waters in 1898. The teritory’s extent is not large by any measure. And of the total 2,755 sq km, 60 percent is sea. The most separated points reachable by road are Sha Tau Kok in the northeast and Tai O Village on southwestern Lantau Island, a mere 85 km drive. Yet, as we explore the various corners and edges of Hong Kong, we are amazed at the geographical diversity contained in such a small area. If you have time, a visit to any of these eight boundary areas of Hong Kong makes for a most pleasant adventure. 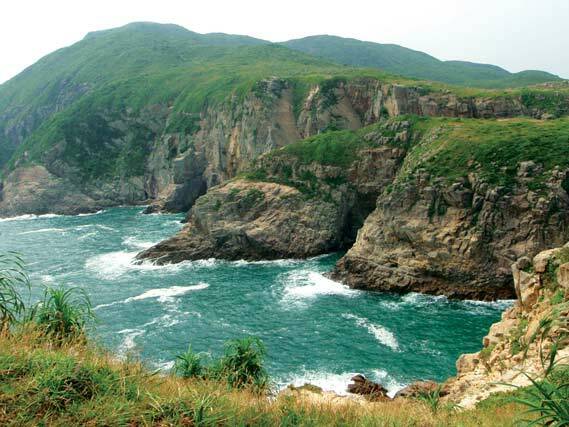 Tung Ping Chau – geological wonder. Tung Ping Chau, in the northeast corner of Hong Kong in Mirs Bay, a stone’s throw from the mainland of China, is as far as you can get from the city. This oncethriving fishing village, now virtually abandoned, is the only island in Hong Kong composed of sedimentary rocks. 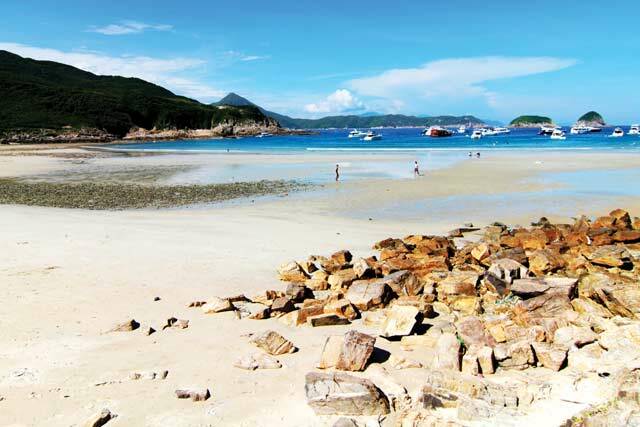 As part of the Hong Kong Geopark, the island has become a popular weekend retreat. You can visit its famous rock formations – including spectacular cliffs and wave-cut platforms, check out the coral, or go diving. There are a couple of Chinese temples as well as plenty of trails for hiking on this small but geologically complex island. Take a ferry from Ma Liu Shui pier near the Chinese University of Hong Kong, available only on Saturdays and Sundays plus public holidays. Sai Kung East Country Park – High Island Reservoir Dam, Long Ke, and Tai Long Wan –pristine beaches. 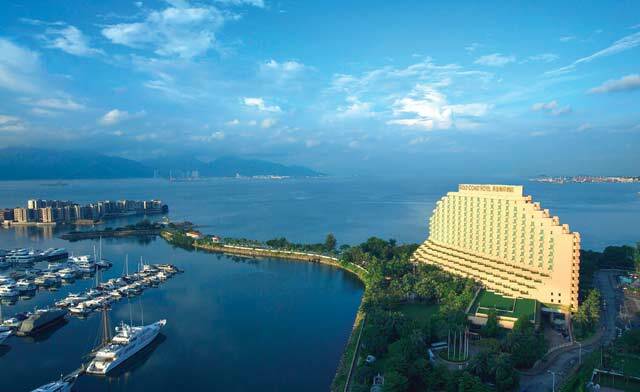 One of the most picturesque areas in Hong Kong, on the eastern edge of the Sai Kung Peninsula, the pristine beaches of Long Ke and the four beaches along Tai Long Wan (Big Wave Bay) – including the expansive, white sand Ham Tin Beach, are the pride and joy of Hong Kong’s great outdoors. 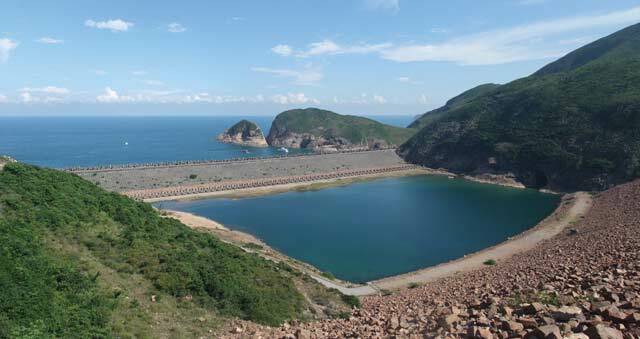 Start at the East Dam of the High Island Reservoir (accessible by taxi from Pak Tam Chung Bus terminus), which is the start of Maclehose Trail Section 2, and follow the trail to first Long Ke, then Tai Long Wan, after a moderately arduous hike. 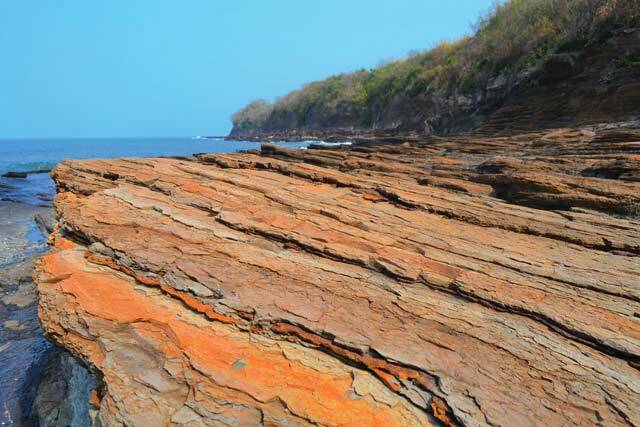 Tung Lung Chau – rocks galore. 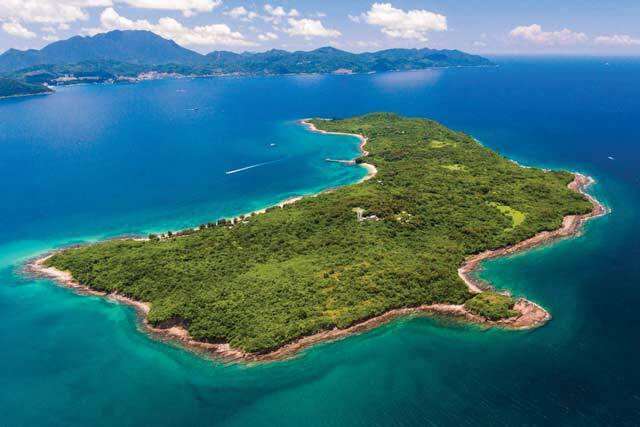 Tung Lung Chau, an island just off Clearwater Bay in Sai Kung District, is another compact geological island jewel. Ferries from Sam Ka Chuen in Kowloon and Sai Wan Ho on Hong Kong Island provide weekend access. A hike around the island can feature an ancient fort, the oldest and largest pre-historic stone carving in Hong Kong, and some of the best rock climbing spots in the territory. Lamma Island – chilled and welcoming. 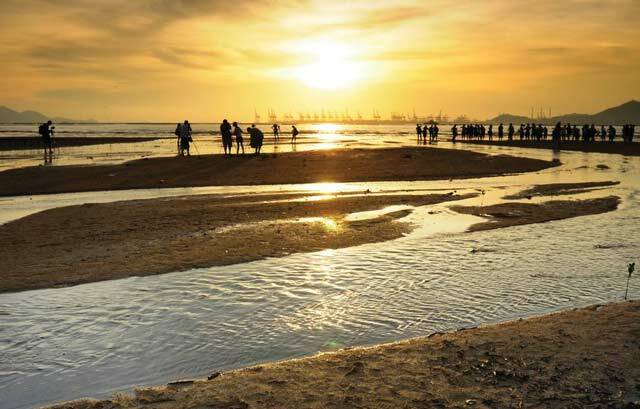 This idyllic island, well-known to tourists and locals alike as a respite from the bustling city, lies at Hong Kong’s southernmost fringe, beyond which lie only islands belonging to China. Take a ferry to Yung Shue Wan from Central Ferry Pier number 4. You can stroll around this quaint village and then follow a relaxing and scenic hiking trail across the island to So Kwu Wan. Be sure to enjoy a delicious seafood meal at one of the many seafood restaurants there before taking a return ferry from the adjacent pier. 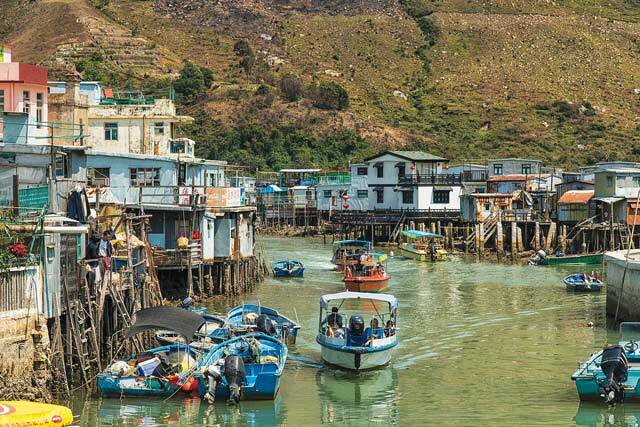 Southwest Corner: Tai O Village, Lantau Island – quaint fishing village. Lantau Island, Hong Kong’s largest, occupies the southwestern corner of Hong Kong, with Tai O village on its western shore. 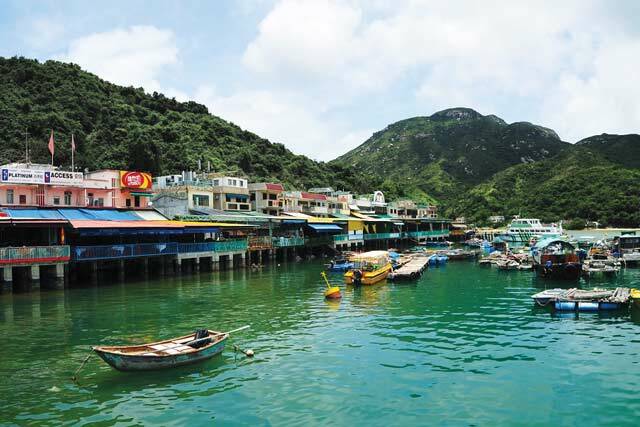 An ancient fishing village and now a popular tourist attraction, Tai O is where you can hire a boat looking for Hong Kong’s famous Chinese pink dolphins, visit the many stilted houses built over the water, and catch a glimpse of what village life was like in the past. 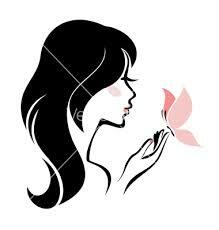 Take Lantau Bus number 1 from Mui Wo or Bus 11 from Tung Chung. Castle Peak; Gold Coast – urban retreat. Hong Kong’s westernmost boundary is near Black Point off Castle Peak, home to a power station and off limits to visitors, but Castle Peak itself is accessible. The tall peak and the area surrounding it, both known as Castle Peak, boast a rich history. Castle Peak Road, which runs from Sham Shui Po to the northwest New Territories, is the longest road in Hong Kong. An arduous hike to Castle Peak (the mountain) rewards the intrepid with panoramic views of the South China Sea. Or visit Gold Coast Yacht Marina, and its beach nearby for a relaxing afternoon. Bus 962B from Causeway Bay to Gold Coast Hong Kong Hotel. 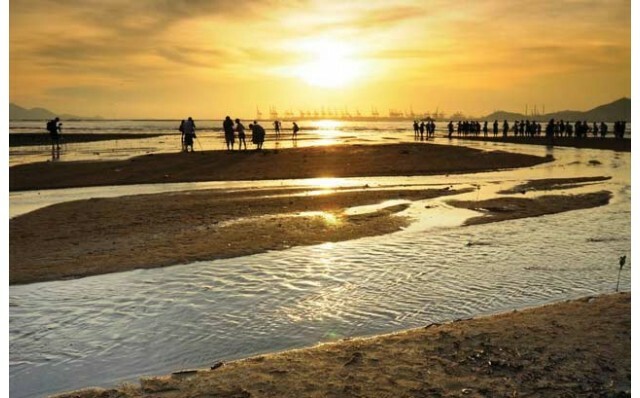 Northwest Corner: Ha Pak Nai and Lau Fau Shan – wetlands and beautiful sunset. 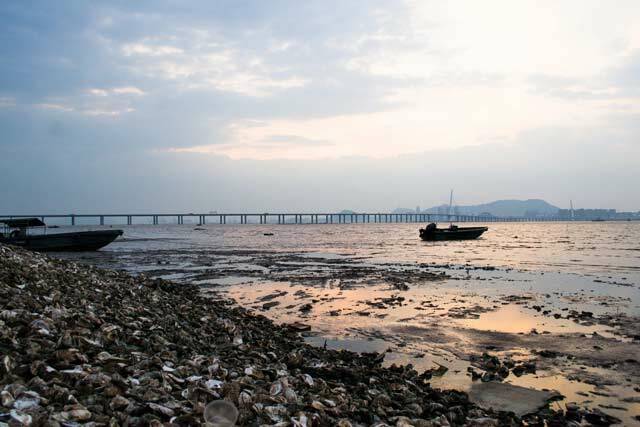 Lau Fau Shan and nearby Ha Pak Nai are fishing villages on Deep Bay, across from Shenzhen. 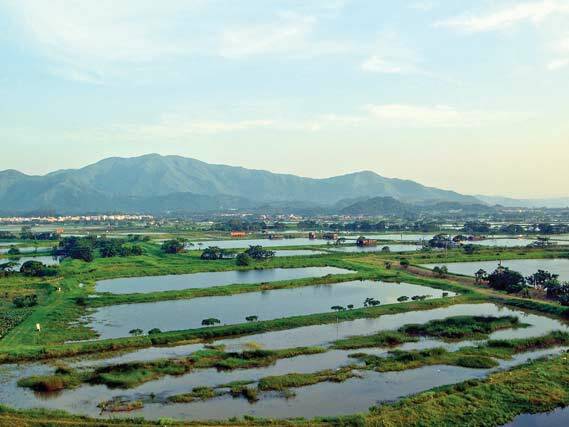 This alluvial plain is known for its wetlands (nearby Hong Kong Wetland Park and Mai Po Nature reserve). Floating rafts cultivating oysters and scallops still dot the bay, but the area is now better known for its seafood restaurants and a famous sunset. 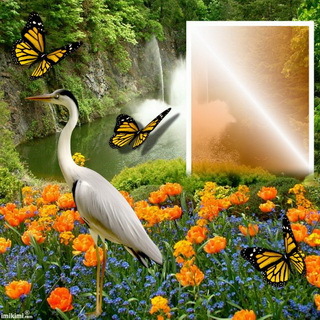 Round out a pleasant all-day tour by visiting Yuen Long for its temples and villages, the Hong Kong Wetland park, Nam San Wei – a beautiful wetland reserve, and then Lau Fau Shan/Ha Pak Nai in the late afternoon. Take MTR to Yuen Long, then Minibus 33 to Ha Pak Nai or Kowloon Motor Bus 65 to Lau Fau Shan. Lok Ma Chau and Sheung Shui – rural serenity set against a skyscraper forest: A generation ago, Lok Ma Chau was a sleepy village bordering Shenzhen. Today, it is a major cross-border transport interchange and control point. There is still an observation point atop a small hill where you can gaze at Shenzhen’s gleaming skyscrapers, where formerly were only rice paddies. The old rural village is still there, surrounded by rice fields and fish ponds. A nice walking trail from Lok Ma Chau to Ho Sheung Heung lets you immerse yourself in Hong Kong’s vanishing rural life. Take Kowloon Motor Bus B1 from Yuen Long MTR Station to Lok Ma Chau.